Build strength, burn off energy, improve flexibility and have fun WITH the kids in your life! Family time on the mat provides not only immediate benefits, but the long-term value of healthy self-care habits. Classes in the bundle are valued at over $69, but you can get lifetime access to all four classes for just $29.97 (less than the cost of a few drop-in yoga classes)! What level of experience/age group are these classes for? All levels! I teach poses and exercises progressively, first sharing the most basic alignment information. Then, I add layers of complexity for more experienced students. 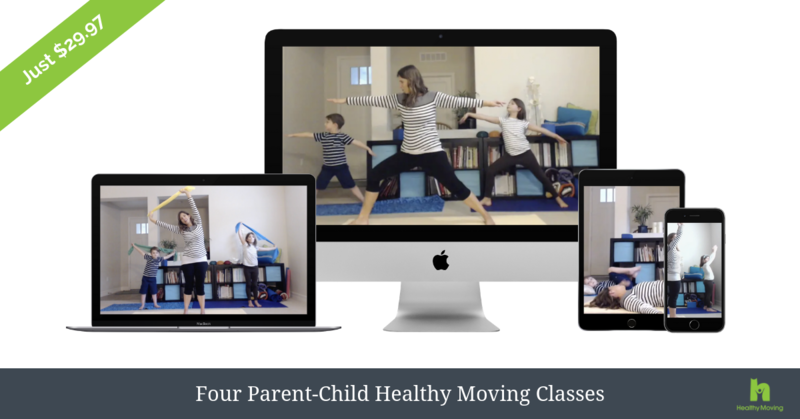 While kids (and adults) of all ages can enjoy these classes, preschool and elementary aged kids will relate well to my children in the videos.